By Fortress Global Enterprises Inc.
VANCOUVER – Fortress Global Enterprises Inc. is pleased to announce that its wholly-owned subsidiary, Fortress Xylitol Inc., has entered into a definitive contribution agreement with Natural Resources Canada whereby NRCan has committed $10 million in contribution funding to support the planned construction of a xylitol and complementary bioproducts demonstration plant at Fortress’ dissolving pulp mill in Thurso, Québec. This funding from NRCan is in addition to the anticipated federal and provincial investments, grants, and loans of up to $17.4 million previously announced by Fortress on July 11, 2018 that remain subject to completion of definitive documentation. The Demonstration Plant is intended to demonstrate technology for the co-production of value-added and sustainable bioproducts that can help transform the mill into a biorefinery. The process is expected to validate performance and produce pre-commercial quantities of food-grade xylitol and complementary bioproducts for testing and use by customers. Enderby Fire Department battled frigid conditions in putting out a mill fire Monday. A blaze broke out in a workshop at South Enderby Boards, off Highway 97A … at about 5:15 p.m., 45 minutes after the last employee had left for the day. “The fire was in a workshop where finishing is done, so there was lots of moulding, lots of fuel in there,” said Enderby Fire Chief Cliff Vetter Tuesday morning. “It’s a complete wood structure. The damage is extensive. It’s hard to tell where it started.” The company website says it “specializes in custom-cut fir, cedar, spruce and pine.” “It was our workshop where we had a lot of specialized tooling and woodworking stuff,” said South Enderby Boards spokesperson Craig McIntyre. …The shop was not insured. McIntyre said fires that destroyed sawmills up north a few years ago hurt small operations’ abilities to get insurance. VERNON, BC – Timber Investments Ltd.is pleased to announce that it has completed the purchase of a 51% interest in Columbia Containers Ltd. from Providence Grain Group (PGG), with PGG retaining the remaining 49% ownership interest. …This investment in CCL will complement Timber’s interests in two other west coast logistics operations. Timber is the principle investor in Fibreco Export Inc., a bulk wood pellet and grain loading facility located on the north shore of Burrard Inlet. The Fibreco facility, which is capable of receiving unit trains and loading out panamax sized vessels, will have an annual capacity of 3.6 million tonnes when its current expansion project is completed. Tolko Industries (wholly owned by Timber) also operates Lulu Island Terminal, a wood product container transloading facility located in Richmond, British Columbia, which is the largest purpose-built facility of its type on the west coast of Canada. 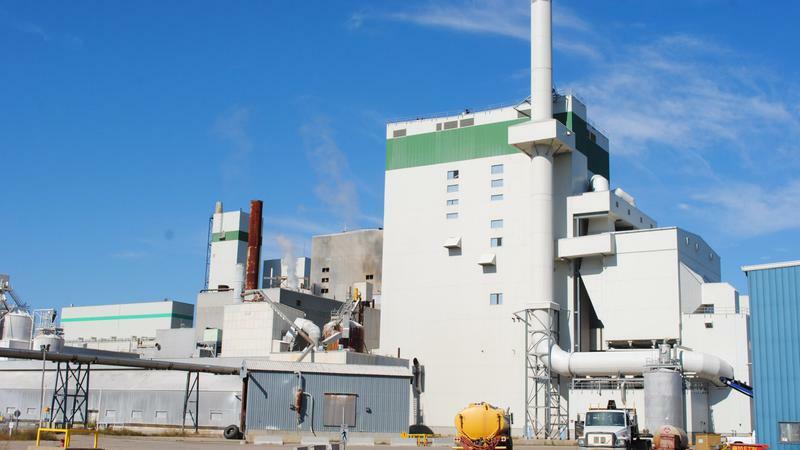 HOUSTON, BC — Canfor is closing its mill here again as part of a company-wide effort to reduce production in the face of lower prices and high logging costs. This closure, from Feb. 19 to Feb. 22, follows an extended Christmas shutdown. The company’s mill in Mackenzie is also closing for a week and its Vavenby mill, located north of Kamloops on Hwy5, is closing for six weeks from Feb. 11 to March 22. Company official Michelle Ward said… “There are a number of factors across BC contributing to the constrained log supply and log costs including the decreasing annual allowable cut, increased competition for fibre driving prices higher and the last two wildfire seasons.” The Houston facility… annual production capacity of 600 million board feet of dimension lumber. It employs approximately 385 people. LYONS, Ore. — Freres Lumber Company announced that it has been granted a Canadian patent for its revolutionary Mass Plywood Panel (MPP), which is currently the only mass timber panel constructed entirely from Structural Composite Lumber. MPP will allow builders to build taller structures for less cost, faster, while using less wood than with any other mass timber product on the market today. The company received the Canadian Patent the day after the hard copy of their U.S. patent arrived in the mail. Patents have also been granted in Australia and New Zealand. Additionally, Freres Lumber received fire test results from Southwest Research Institute (SwRI), verifying that MPP demonstrates the necessary life safety fire protection performance for single- and multi-family, and multi-story structures up to 18 stories high. ALBANY — Georgia-Pacific officials joined Albany and Dougherty County leaders in officially breaking ground on Tuesday at what is expected to be a shining star for economic development in southwest Georgia. The groundbreaking was for a new lumber production facility at the former Albany-Dougherty Industrial Park on Sylvester Road, and was lauded by Georgia-Pacific executives and leaders from the city and county. …The $150 million, 320,000-square-foot advanced technology lumber facility is expected to be fully operational by either this fall or early next year. Once operational, officials said it will support about 150 full-time employees with an estimated $5 million in annual payroll. Fritz Mason, vice president and general manager for Georgia-Pacific Lumber, said… that construction of the facility is well underway. 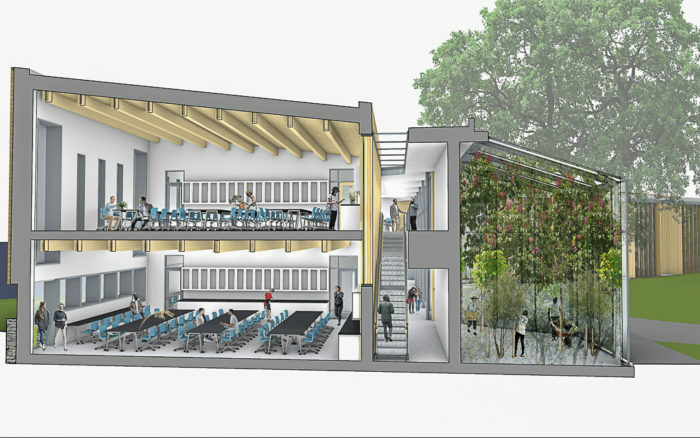 The school ranked by The Princeton Review as the number one green college in the U.S. has announced plans for a new campus center that will be built to the German Passivhaus standard. …Key to the design is the use of mass timber components to replace concrete and steel, a move that will substantially lower the carbon footprint of the $13 million project. …the structure of the building would consist of mass timber components to replace the steel and concrete structure of a more conventional commercial building. The 2×8 exterior walls, which will be wrapped in 6 inches of Gutex fiberboard insulation, will essentially be curtain walls without any structural role. …Substituting glulam beams for steel and concrete provided a significant drop in embodied carbon and also beat steel and concrete in cost by a “fair margin.” Although mass timber added about $1 a square foot to construction costs over engineered lumber, carbon sequestration improved. Kathy Abusow, President and CEO of the Sustainable Forestry Initiative, details the changes she’s seen in forestry in the past 30 years, and her hopes for the next 30. Does your family PLT? Project Learning Tree (PLT) is an award-winning environmental education program for children and teens in all grades, using trees and forests as a launching pad for understanding complex environmental issues. PLT develops learning materials and makes them available to both classroom educators and parents on a regular basis. All lessons are designed to be practical, hands-on and fun, with indoor and outdoor components. PLT is an initiative of the Sustainable Forestry Initiative. SFI is a sustainability leader that provides supply chain assurances, delivers conservation leadership, and supports environmental education and community engagement. Take a look at PLT’s latest activities for families. They incorporate free smartphone apps and free i-Tree online tools developed by the U.S. Forest Service and its partners. In the past year, more than 16,000 BC residents have sent letters to the provincial government calling for the protection of ancient rainforests. According to the Sierra Club BC, during that same period, about 10,000 hectares of old-growth forest has been clearcut. The Club says that’s more than three square metres every single second and that’s why tomorrow (Wed) members are taking a stand for old-growth forests. They’ll be delivering letters to MLA offices across the province. They want immediate, decisive action that includes a moratorium on old-growth logging in critical hotspots. By Jens Wieting, Sierra Club B.C. and Torrance Coste, Wilderness Committee. REGINA — A Regina tree service company has been fined $3,500 for having a large amount of elm wood on its property for use as fuel. Golden Acres Tree Services Inc. pleaded guilty in provincial court after being charged under provincial Dutch elm disease regulations. The court heard the wood was discovered during a routine inspection of the property near the city last summer. The Ministry of Environment says in a release that the company received a warning for the same offence in 2017. The department does annual inspections of properties within a buffer zone around Regina and other communities as part of its Dutch elm disease management program. 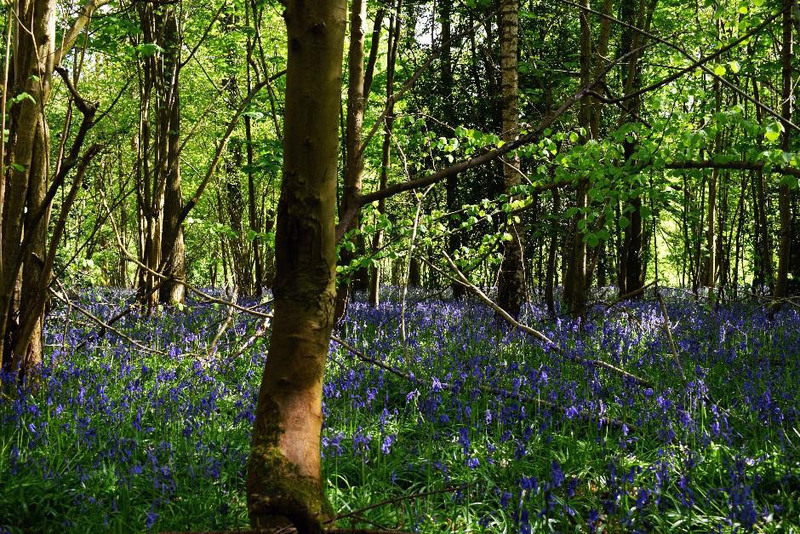 Response to the Feb. 1, 2019 article “The forests we have left are critical to the environment.” First, I would agree that well managed forests are critical to the environment. That said, I also believe that there is room for a well-managed forest industry to exist within a healthy, diverse environment. …The first paragraph of the article seems to suggest that 50 years ago, logging was done primarily through a selective harvest system. As a 40-year veteran of the forest industry… I can say that selective logging has never been a major portion of the province’s cut. …There is research out there that suggests clearcutting is the most productive (from a volume standpoint) silviculture system for most tree species. 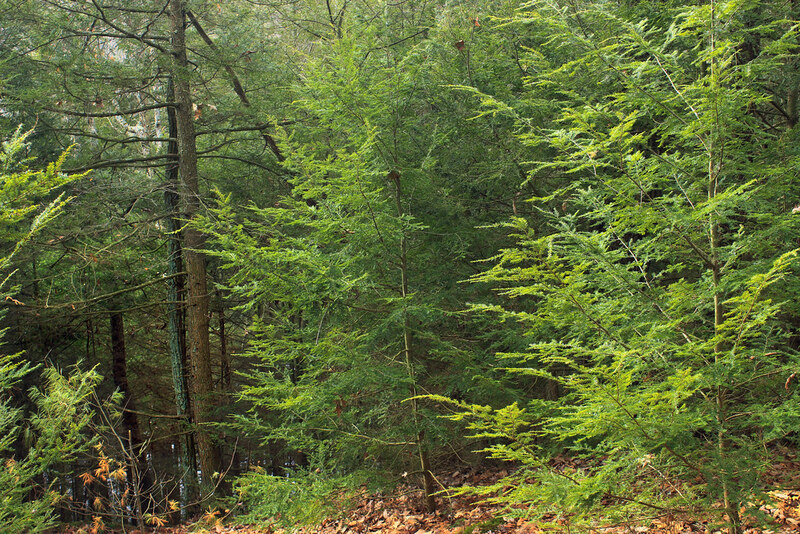 …Small cutblocks and selective-harvested areas tend to migrate into hemlock monocultures over time. …In my opinion, the forests are managed well for the environment with forest professionals involved all along the way. A lengthy and occasionally testy special council meeting has moved North Cowichan’s budget process a little closer to the finish line. …A contentious issue… is the question of how to deal with the forestry budget. Members of the public filled council chambers at an earlier council meeting demanding a review of the forestry strategy in North Cowichan. 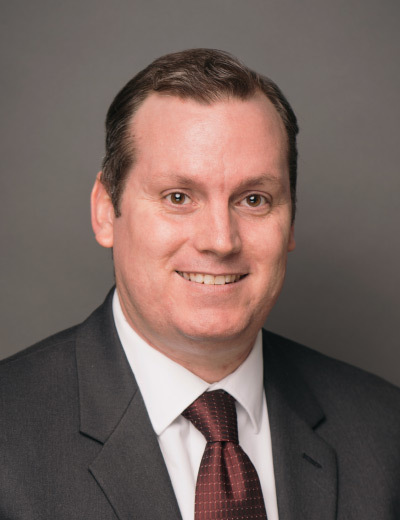 Council has agreed to do that but the process could have a dramatic impact on the 2019 budget, Mark Frame, the municipality’s finance director explained. “If logging is paused there will be a deficit of $631,560,” Frame said. “With a budgeted profit of $127,750 that would mean a revenue shortfall of $759,310.” That shortfall alone would necessitate a 2.64 per cent tax increase. Other options include salvaging blown down trees only and logging a reduced amount of lumber. 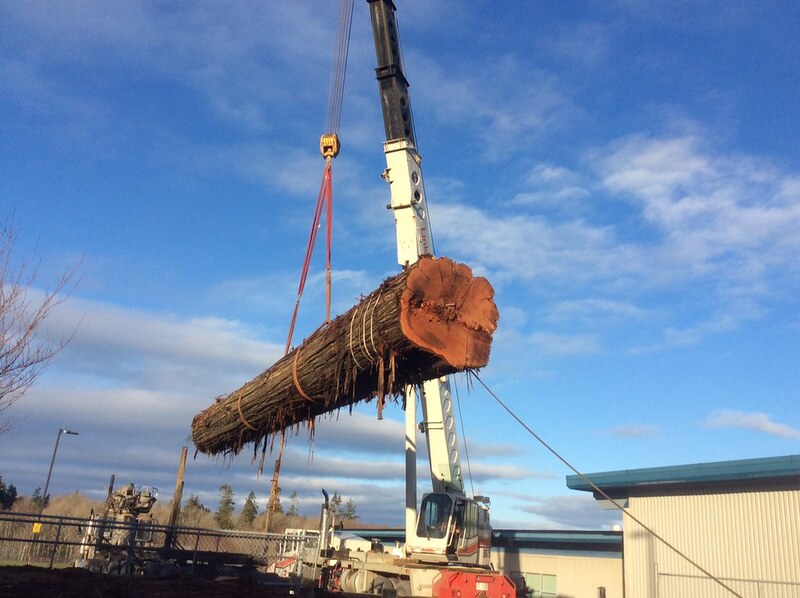 BC Timber Sales (BCTS) and the Nanwakolas Council have provided a large western red cedar log to Carihi Secondary school to be used by students and staff to carve a traditional canoe under the guidance of Indigenous students, artists and Elders. …BCTS operations technician Dave Hamilton [facilitated getting] the log from the operating area to the school grounds. The tree was located in the traditional territories of the Tlowitsis First Nation and We Wai Kai First Nation. …Many companies assisted in the successful delivery of the log to the school: Holbrook Dyson Logging Ltd. for yarding and loading, Sibola Mountain Falling Ltd. for falling, Fearless Trucking for trucking, Strategic Natural Resource Consultants for log banding and Discovery Crane for unloading the log at the school. Although elk typically adapt to forest disturbances such as forest fires and logging, a new Journal of Wildlife Management study found that during the summer, elk avoided areas with extensive tree mortality that has occurred due to the bark-beetle epidemic in the northern portions of the Rocky Mountains in the United States. Avoidance of beetle-killed forest by elk during the summer has led to a decline in preferred habitat for elk that will be of importance to many wildlife and land managers responsible for managing elk populations in areas impacted by the bark-beetle epidemic. “Although it is common following forest disturbances for elk to seek out and capitalize on the resulting increases in highly palatable and nutritious forage, during the summer months, elk in our study area fairly consistently avoided beetle-kill. This result is somewhat counter to how we typically think elk respond to forest disturbances,” said lead author Bryan G. Lamont, of the University of Wyoming. The size of wildfires burning across Arizona and the West has increased dramatically in recent decades. But fires still burn only a fraction of the area they did before Europeans arrived, according to a study by researchers from Utah State University and elsewhere. In the past several years, the amount of acreage burned in the West has jumped from 2 or 3 million acres annually to perhaps 10 million acres. Fighting those fires now consumes half the Forest Service budget. …However, before Europeans arrived, between 4 percent and 12 percent of the western United States burned every year, according to the study in Earth’s Future, which is published by the American Geophysical Union. The number of acres burned would have to increase about tenfold from last year’s devastating 9 million acres to match that total. Given the severity of last year’s deadly wildfires, let’s hope California’s new governor, Gavin Newsom, takes a more productive approach to the problem than his predecessor, Jerry Brown, who largely deflected blame to global warming. While Mr. Brown did acknowledge that forest management is “one element” of controlling wildfires, the real culprit, he hastened to add, was climate change. “Managing all the forests everywhere we can does not stop climate change — and those that deny that are definitely contributing to the tragedy.” Wildfire policy is incredibly complex and many factors contribute to the frequency and severity of fires. But global warming — human-caused or otherwise — is among the least of them. …As a 2018 report from California’s Little Hoover Commission stated, California must shift from primarily reacting to large wildfires through emergency firefighting to more proactive forest management. There is great momentum from state government to find solutions to California’s wildfire and forest-management crises. Two government agencies have unveiled a plan to quicken forest management—and environmental groups quickly threatened lawsuits. The California State Board of Forestry and Fire Protection and the Department of Forestry and Fire Protection—or Cal Fire—announced last week their intention to expedite forest-management projects and prescribed burns, by creating a single, streamlined environmental-review process for activities conducted on private land. …Despite those benefits, environmental groups have already expressed displeasure at the use of a CalVTP, predicting future lawsuits and claiming the plan represents nothing more than a mechanism to clear-cut California forests. CONCORD — Communities across the state own more than 180,000 acres of undeveloped forests, fields and wetlands that create nearly $146 million a year in economic benefits — including recreation and maple sugaring, according to a new report. That makes up nearly 4 percent of the state’s forestland. “Town-owned conservation lands are an often overlooked and underused resource,” said Karen Bennett, a forestry professor and specialist with the University of New Hampshire Cooperative Extension. “We’re now able to talk about town forests in terms of millions of dollars of annual economic and ecological contributions — important information when working to persuade people that town forests are worthy of owning, protecting and managing,” Bennett said. This week is being recognized as “Prescribed Fire Awareness Week.” According to the Georgia Forestry Commission, a prescribed fire is known as “good fire” because it is carefully applied to forest vegetation under specific weather conditions to advance defined forest management objectives. “Prescribed fire has a number of benefits for the land,” said Georgia Forestry Commission Director Chuck Williams. “When the forest floor’s litter layer has been reduced, the risk of devastating wildfire is also reduced. Prescribed fire promotes new growth and healthy conditions for wildlife.” Prescribed Fire Awareness Week was established in 2005 and is recognized annually during the first week of February. According to the Georgia Forestry Commission, Governor Brian Kemp’s official 2019 proclamation highlights the forest management tool as one of the most environmentally and economically feasible methods for managing the state’s valuable forest resources. A proposal to transfer ownership of the Elliott State Forest from the state to Oregon State University is taking a small step forward. The Oregon Department of State Lands says it is prepared to sign a framework agreement — called a memorandum of understanding — with the University Tuesday that will allow the two to develop a solid plan to create the Elliott State Research Forest. “This memo captures the Board’s overall direction to date regarding the Elliott,” DSL Interim Director Vicki Walker told the State Land Board at a meeting Tuesday morning. Those include retaining public access and hunting, creating a conservation plan to protect imperiled species that live there, and maintaining a “working forest” that will allow for continued timber harvest. 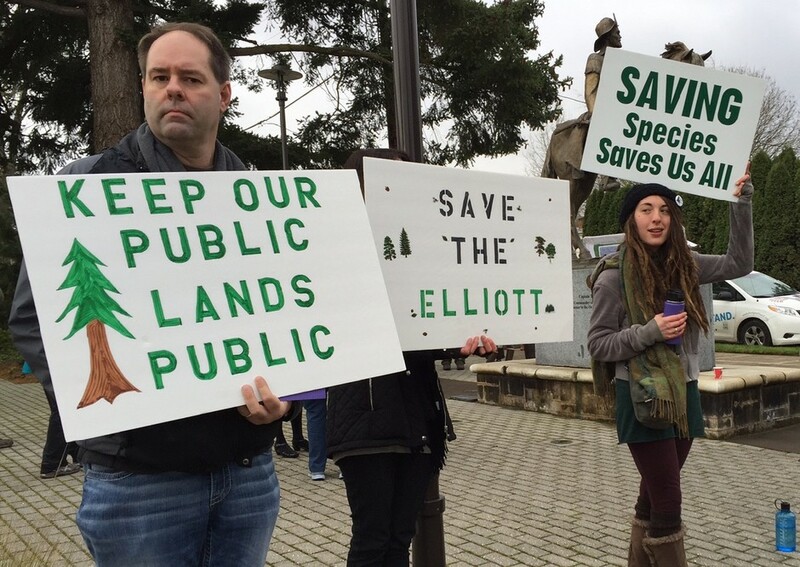 …Another goal is to “decouple” the Elliott State Forest from the Common School Fund. This would take the pressure off the forest to continue to generate logging revenue for Oregon schools. VANCOUVER — Inhaling smoke from a wildfire can be equal to smoking a couple of packs of cigarettes a day depending on its thickness, says a researcher studying wildfires in Western Canada. Mike Flannigan, a professor with the Department of Renewable Resources at the University of Alberta, said the smoke is like a “chemical soup” that can be trapped in the lungs and cause a number of health issues. “They are all kinds of particles, mercury, carbon dioxide, carbon monoxide, methane … there’s a whole long list.” Depending on the size of the particles, they get trapped in the lungs, accumulate over time and cause “all kinds of problems,” Flannigan said. Sarah Henderson, a senior environmental health scientist at the British Columbia Centre for Disease Control, said the smaller the particles, the worse they are. Both Flannigan and Henderson will make presentations at the BC Lung Association’s annual workshop.